On Tuesday, April 18, a delegation of Hesperia Lodge #411 A.F. 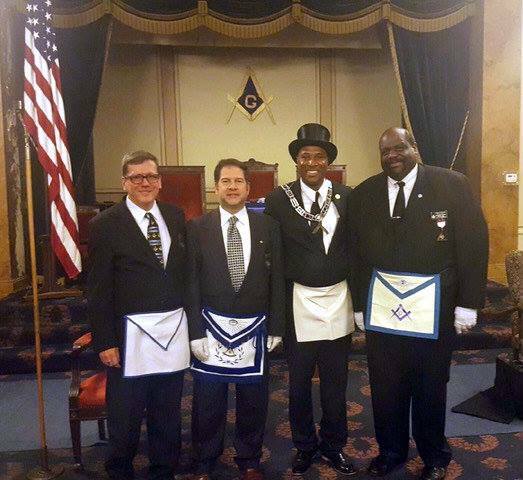 & A.M. members headed by Worshipful Master Spooner traveled to the Evanston Masonic Temple to visit Mt. 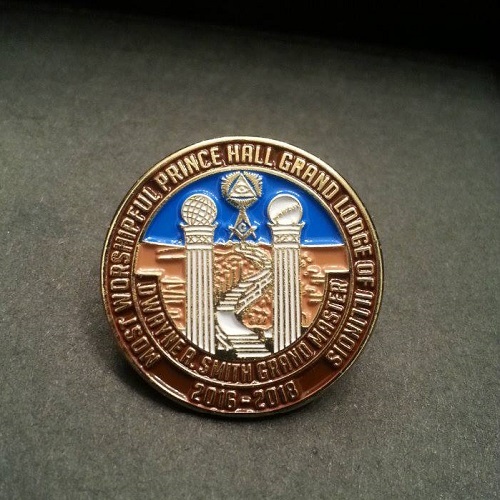 Moriah Lodge #28 (Prince Hall Affiliated). We received a warm welcome by WM Andrew Kelly, Lodge members, and a delegation of Sr. 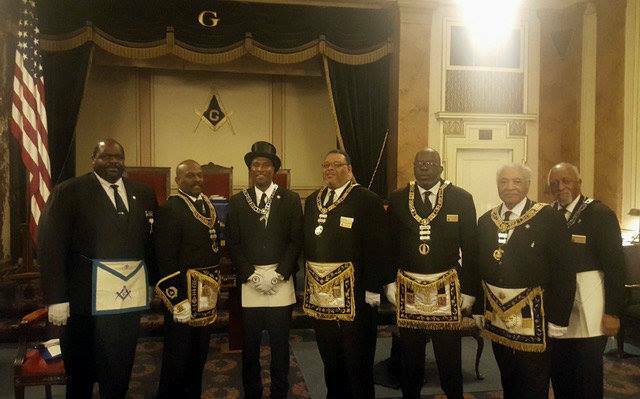 Prince Hall of Illinois Grand Lodge officers, among whom the Deputy Grand Master. During the meeting, after a persistent and loud alarm at the door, we were all surprised to hear that the Most Worshipful Bro. 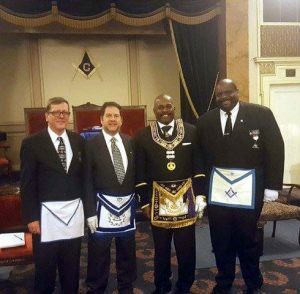 Dwayne Smith, Grand Master of the Most Worshipful Prince Hall Grand Lodge of Illinois was asking for admission. We had an amazing time, tasty and plentiful food prepared by WM Kelly’s wife and family, and a fun exchange of fellowship and brotherhood. SIMPLE LODGE VISITATION MORPHS INTO CAVALCADE OF GRAND DIGNITARIES!! Most Worshipful Bro. Dwayne Smith , MW Grand Master of PHA Grand Lodge of Illinois with Worshipful Master Wayne Spooner, PM Francesco Bruno, PM Robert Harvey, Secretary.